To purchase this item, please add the product to your basket and click the Shopping basket link above to view your basket and continue. All books (Stage 1) with MP3 audio (39) published before December 31st 2018 from the Oxford Bookworms Library. The most consistent of graded readers in language control, length and quality. 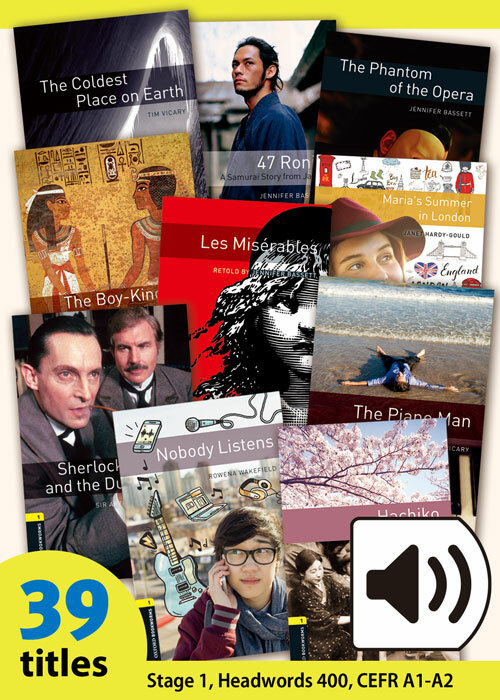 Over 250 adapted and original books to choose from: classics, modern fiction, non-fiction and plays. Extended activities section is included at the back of every book.